Get out your bottles of hot sauce, Roswell fans—the cult-beloved WB drama about photogenic aliens in you-know-which New Mexico town is making a return. It’s heading to the CW with a new script from Carina MacKenzie, producer of Vampire Diaries spin-off The Originals. Roswell ran from 1999 to 2002 (its final season moved from the WB to UPN), and racked up a small but devoted fan base that famously showed its support for the show by shipping bottles of Tabasco—the condiment favored by its extraterrestrial teens—to network execs. 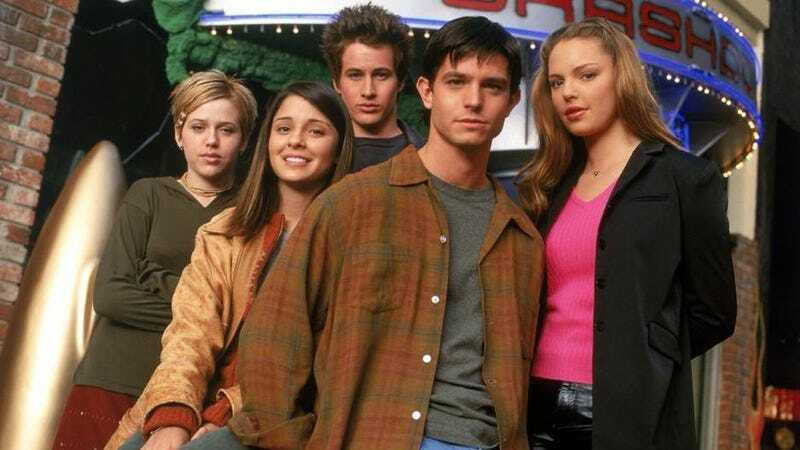 The original show was based on the Roswell High YA book series, and was developed by Jason Katims (whose resume now includes shows like Friday Night Lights and Parenthood). As it progressed, it shifted its focus from high-school relationship drama to science fiction elements, even bringing in Ronald D. Moore (Battlestar Galactica, Star Trek: The Next Generation) to beef up its genre cred. It’s clear that the different interpretations of what it means to be an “alien” will be an important theme; the fact that the main character reconnects with her teenage crush means that maybe we’ll get some Roswell High flashbacks, too. Also: the potential for X-Files style alien and government conspiracies galore, if all that romance doesn’t get in the way. There’s no word yet on when this new take on Roswell might hit the airwaves. New Found-Footage Horror Film Spotlights Site Of "The British Roswell"
Is The CW&apos;s Star-Crossed the new Roswell?